Double Dip: Lightning Deal + Discount Coupon! 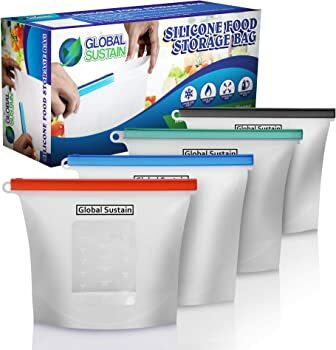 Get 4-Pack Global Sustain Reusable Air-Tight Silicone Food Storage Bags from Amazon.com (via Global Sustain Products). Discount : $10.98 via coupon "MFDJ3C7Q"